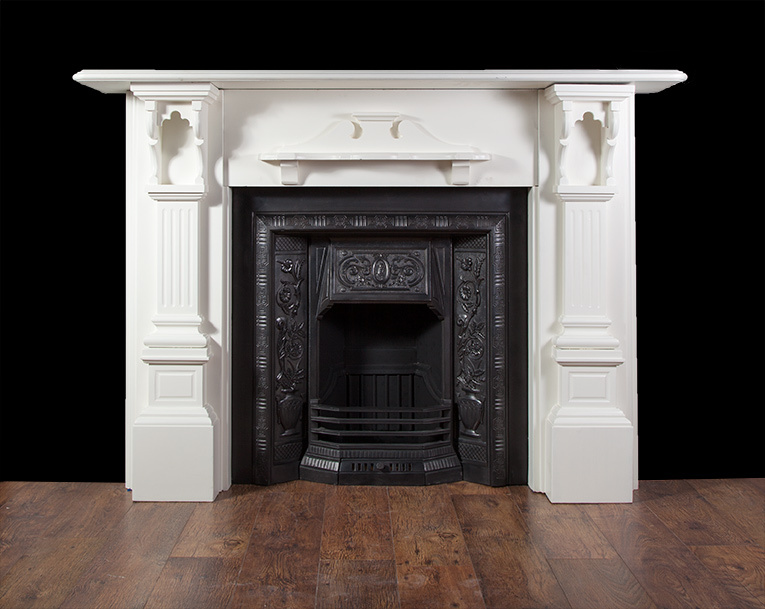 A large Victorian painted slate fire surround. 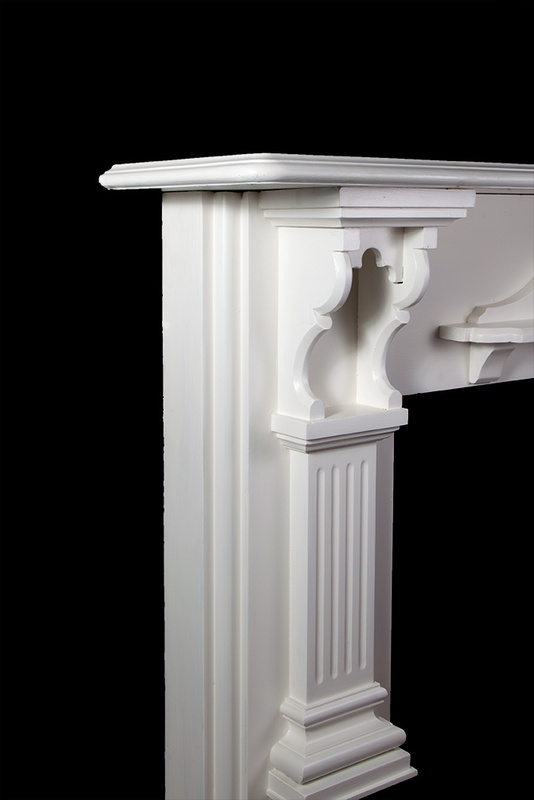 The wide jambs having fluted pilasters under twin corbels. 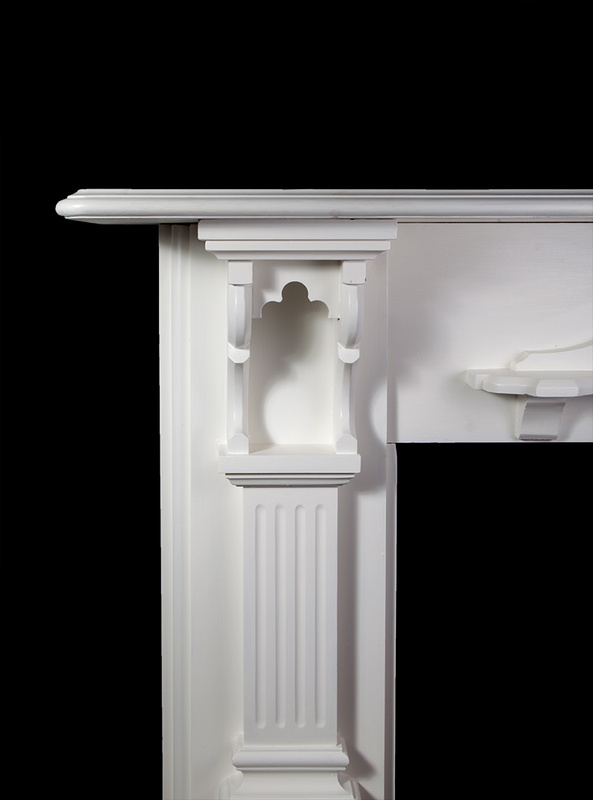 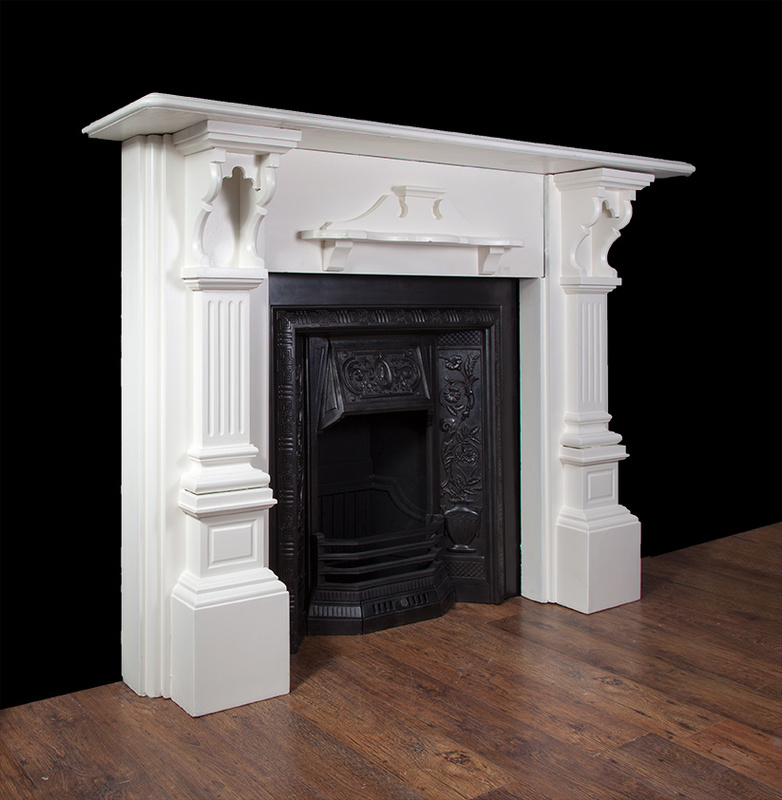 The frieze with a pediment shelf on two brackets under a deep moulded mantelpiece.